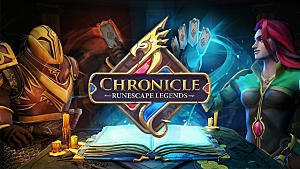 In the beginning it is quite hard to get all the cards you need in Chronicle: RuneScape Legends that would be viable on the ladder. 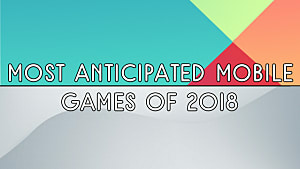 First, you need to get a solid amount of booster packs through either Dungeoneering or simply paying for them. 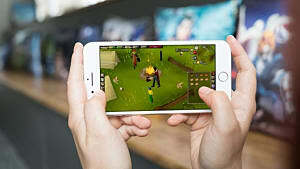 However, you can easily make a good starting deck with your basic cards that you get after reaching level 6, which will give you a chance to ladder up a little bit and gather some coins for your packs. From there on you will be able to make better and stronger decks. 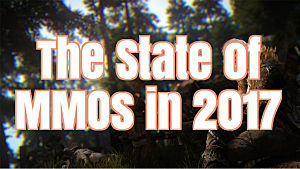 This guide will introduce you to the basic deck for Ariane, the choices of the cards and how to play them. This basic deck for Ariane is very easy to pilot. 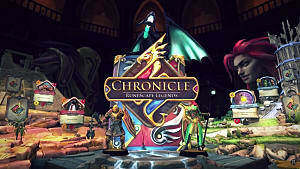 It utilizes a lot of cheap spells and early creatures that can deal a lot of damage to your rival. 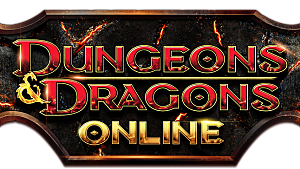 Then, when you enter the late game, your Longsword and Undead Dragon can quickly finish the opponent. 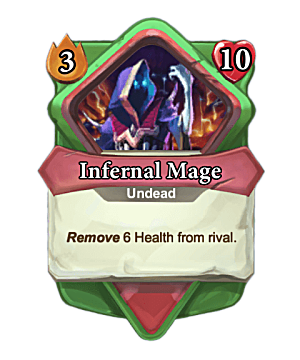 Usually, this deck will not even allow your rival to enter the final battle with Ariane, unless it’s Raptor or Linza -- who tend to stack up a lot of armor during the match. 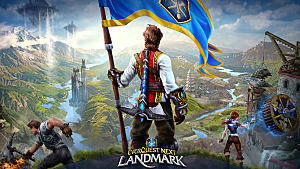 But don’t worry, if you do everything in the right order, you will still have a much greater advantage during the final fight. 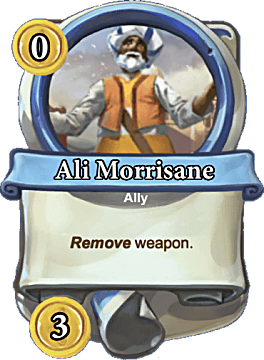 Ali Morrisane – an excellent first card to drop on the battlefield, and since you will have no weapon you will gain 3 gold for free. 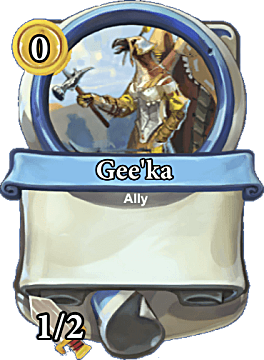 Gee'ka – after you’ve used Ali Morrisane you can now equip your first 1/2 weapon that will be of great use in the next chapter, where creatures with 3 points of health enter the game. 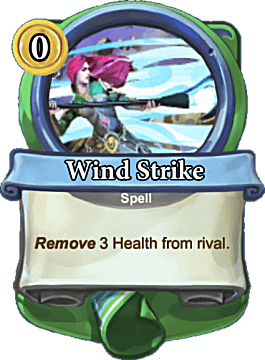 Wind Strike – this spell can be played at any stage of the game, so use it when you have no other good cards to put on the battlefield. 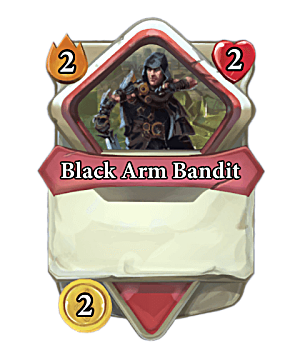 Black Arm Bandit – play this enemy card either in the first or the second chapters, when you need some gold. 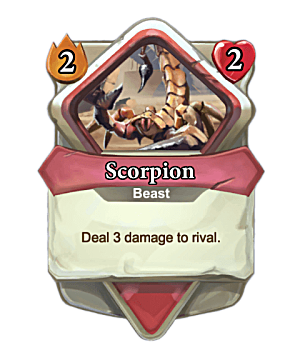 Scorpion – basically, this beast can be played at any stage of the game, but it is a very good early game minion. 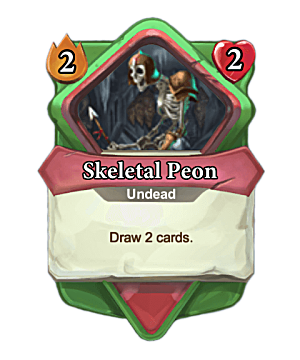 Skeletal Peon – use it before entering chapters 3 and 4, when you need to draw some additional cards. 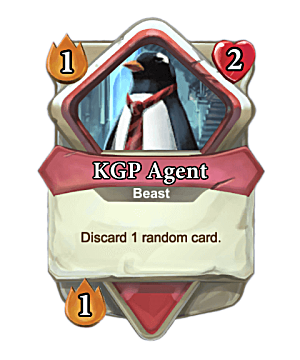 KGP Agent – this is the only early card with a drawback, as it discards one of your cards, but the extra base attack point will play a significant role in the following chapters. Skeleton Warrior – after gaining an extra base attack point from KGP Agent, creatures like Skeleton Warrior will easily go down without you taking any damage. 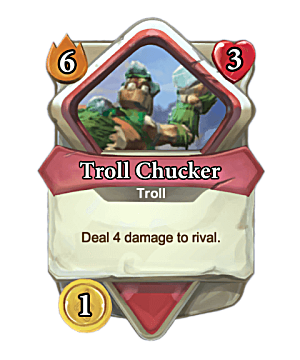 Troll Chucker – another weak midgame enemy that is easy to kill. 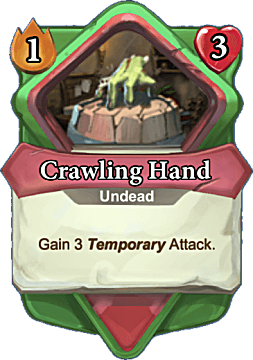 Crawling Hand – use this right before dealing with Haunted Soul in order to kill it in one strike. 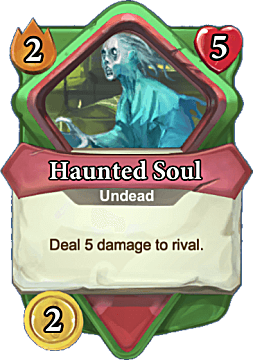 Haunted Soul – if you can deal with this enemy without taking any damage, then it is super valuable. 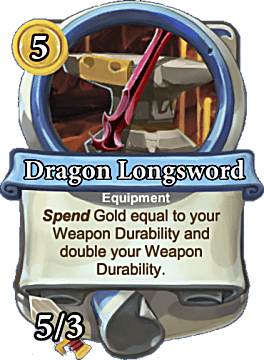 Dragon Longsword – this equipment card should be played either before you enter chapter 5 in order to deal with late game creatures or right before the final battle with your rival. 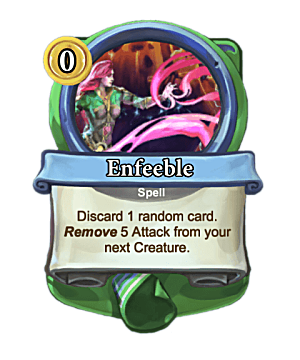 Enfeeble – a powerful late game spell that will help you deal with the bigger enemies on board. 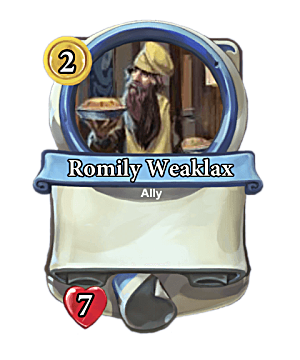 Romily Weaklax – a healing ally that should be played right before the final battle with the opponent. 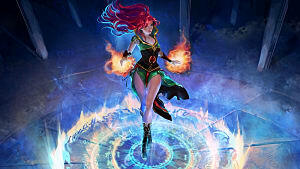 Infernal Mage – you can easily deal with this enemy either using Enfeeble or Dragon Longsword. 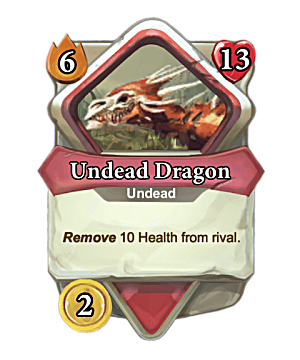 Undead Dragon – your biggest card and a potential win condition of your deck that deals 10 damage to your rival. Ariane is definitely the easiest class for beginners to start with. As you see, even her basic deck looks strong and simple to use. 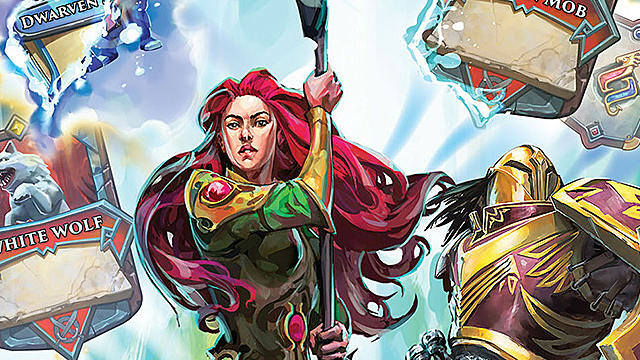 However, if you want to make it stronger, then consider substituting either of the spells included in this deck for an Earth Blast – a great late game finisher. Also, if you can accumulate enough rubies, then it would be wise to craft Lunar Spellbook – another one of the most powerful Ariane’s spells.